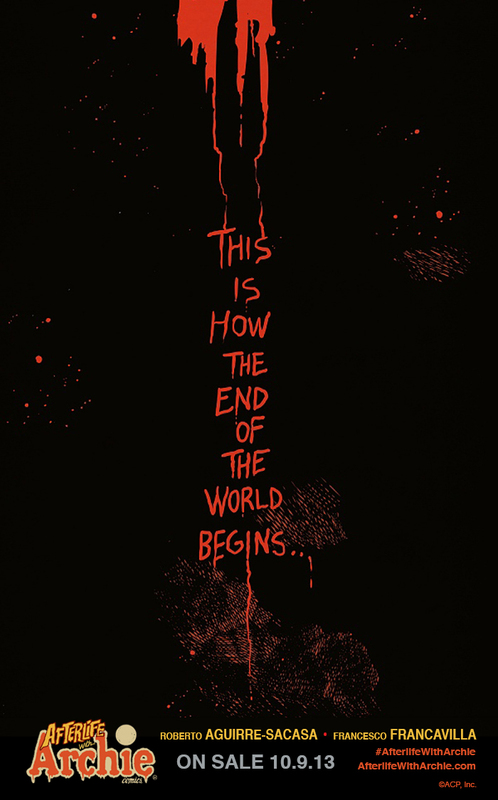 Be the first to witness the beginning of the end of the world with this early look at AFTERLIFE WITH ARCHIE. 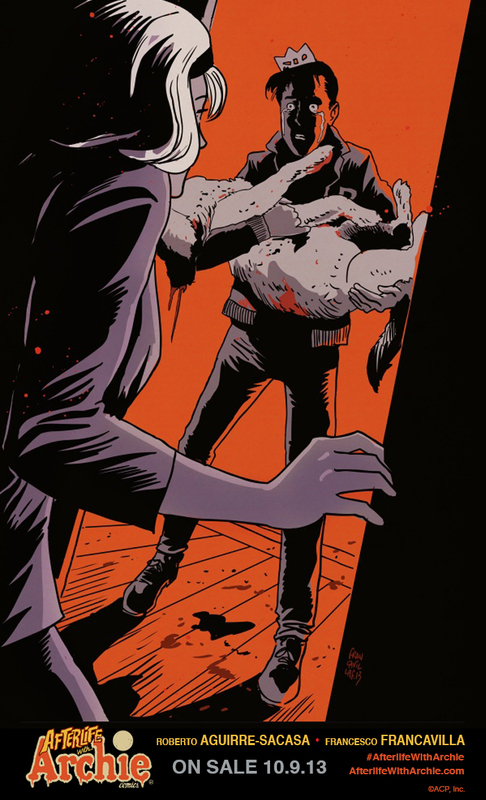 Acclaimed Harvey Award-winning writer Roberto Aguirre-Sacasa’s (Stephen King’s Carrie) jaw-dropping script comes to undead life with the help of Eisner award-winning artist Francesco Francavilla (Guardians of the Galaxy) who deftly injects horror and fear into the once idyllic, safe town of Riverdale. 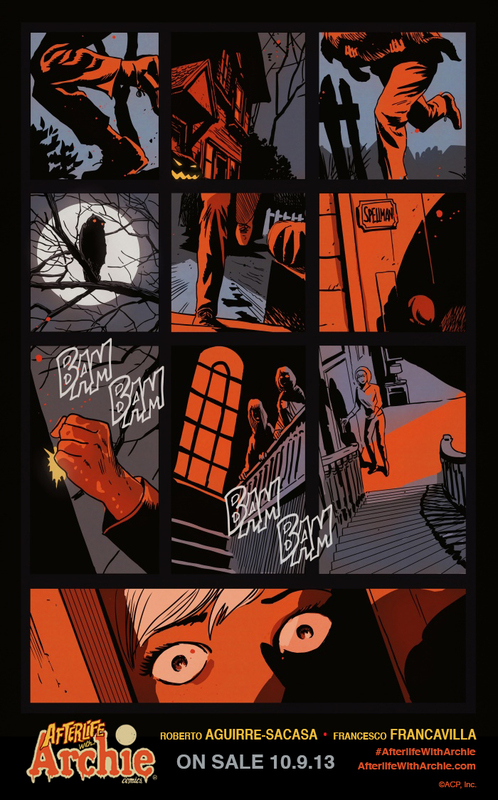 AFTERLIFE WITH ARCHIE hits comic shops Oct. 9 and will be Archie’s first direct market only, NOT for all ages, horror title. For more information and updates visit AfterlifewithArchie.com and to find your nearest comic shop head to ComicShopLocator.com. If you still haven’t seen the bone-chilling trailer for Afterlife with Archie, check it out HERE. You can also follow Afterlife with Archie on Facebook and Twitter.